WINNIPEG, Oct. 24, 2018 /CNW/ – DELTA 9 CANNABIS INC. (TSXV: NINE) (OTC: VRNDF) (“Delta 9” or the “Company”), through its Delta 9 Cannabis Store subsidiary, logged close to 9,600 transactions in the first seven days after legalization of cannabis on October 17, totaling $736,124 in revenues up to the end of day on Tuesday this week. The vast majority of revenues are attributable to sales of dried cannabis products, with the remaining coming from the sale of ancillary products and accessories. 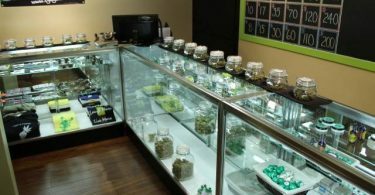 Average selling price per gram of dried cannabis sold over the first seven days of sales was approximately $11.47, with the average cost of sales for a gram at approximately $8.64. Despite restricting online sales to 10 per cent of the Company’s initial in-store inventory, Delta 9 logged 1,583 online orders, of which 961 were sent by Canada Post, and 622 were sent via Pineapple Express for same day delivery in Winnipeg. Chief Technology Officer Matthew Sodomsky said Delta 9 was able to meet the massive online demand thanks to its partnerships with Pineapple Express and Shopify. More than 91,000 unique website visitors were logged on the delta9.ca website, which runs on the Shopify online platform. “Selecting Shopify as our technology partner was definitely the right decision.” said Sodomsky. “We were able to process thousands of orders on legalization day, while upholding our commitment to protecting our customer’s data, storing it on a 100 per cent Canadian-hosted solution. “We are excited to be working with Delta 9 to provide a tailored customer experience to meet the unique demands of both consumers and regulators as we power this new industry.” said Loren Padelford, VP and GM at Shopify. The Delta 9 Cannabis Store in the St. Vital area of Winnipeg also recorded 8,017 sales in the first five days, with revenues of $572,454. The average online order this week was $104, while the average in-store order came in at $72. The first customers for the Delta 9 Cannabis Store were seen camping outside the shop by 6:30 p.m. on October 16, and as the sun rose on October 17 hundreds of eager buyers were lined up around the building. It was just the first of several thousand sales at the Delta 9 outlet. Long lines continued throughout the day, extending completely around the building, with early customers patiently waiting up to two hours to buy their first legal, recreational cannabis products. While outlets across Canada have reported shortages of product, Arbuthnot says Delta 9 continues to enjoy a robust supply, particularly from its own production facility in Winnipeg. Delta 9 is taking in three shipments of dried bud, cannabis oil, and gel caps from its suppliers, including Broken Coast and Canopy Growth, and will be shipping approximately 200 kilograms of Delta 9 product to Manitoba Liquor and Lotteries later this week. Delta 9 Cannabis was the fourth producer in Canada licensed to produce legal cannabis. Delta 9 now operates its wholly-owned subsidiary, Delta 9 Bio-Tech Inc., as a licensed producer of medical marijuana pursuant to the ACMPR and operates an 80,000 square foot production facility in Winnipeg, Manitoba, Canada. 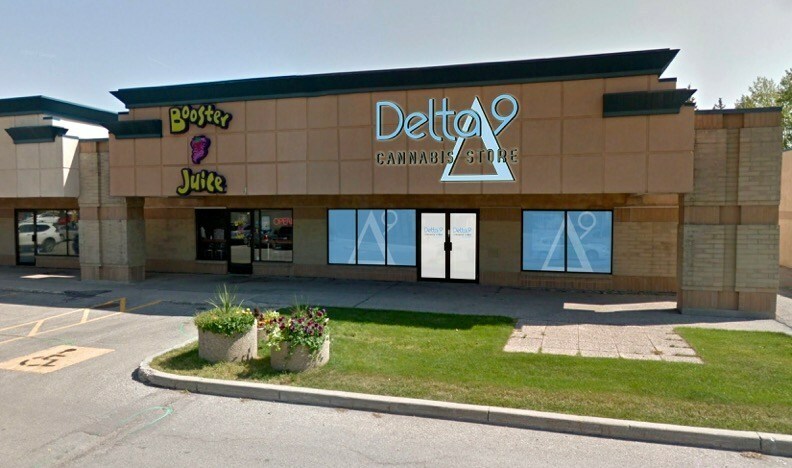 Delta 9 also owns 50 per cent of the 70,000 square foot Delta West facility in Alberta, and co-owns the Delta Nine cannabis retail operation. Delta 9’s shares trade on the TSX Venture Exchange under the symbol “NINE”. 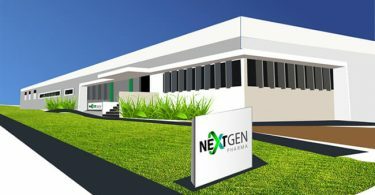 Certain statements in this release are forward-looking statements, which reflect the expectations of management regarding the Company’s future business plans and other matters. Forward-looking statements consist of statements that are not purely historical, including any statements regarding beliefs, plans, expectations or intentions regarding the future. Often, but not always, forward-looking statements and information can be identified by the use of words such as “plans”, “expects” or “does not expect”, “is expected”, “estimates”, “intends”, “anticipates” or “does not anticipate”, or “believes”, or variations of such words and phrases or state that certain actions, events or results “may”, “could”, “would”, “might” or “will” be taken, occur or be achieved. No assurance can be given that any of the events anticipated by the forward-looking statements will occur or, if they do occur, what benefits the Company will obtain from them. Forward Looking Statements in this release include the expectation that Delta 9 will receive three shipments from its suppliers over the coming week, and will be able to ship 200 kilograms of product from its own facility. Readers are urged to consider these factors carefully in evaluating the forward-looking statements contained in this news release and are cautioned not to place undue reliance on such forward-looking statements, which are qualified in their entirety by these cautionary statements. These forward-looking statements are made as of the date hereof and the Company disclaims any intent or obligation to update publicly any forward-looking statements, whether as a result of new information, future events or results or otherwise, except as required by applicable securities laws.